The North West of England has been battered by non-stop rain from October. 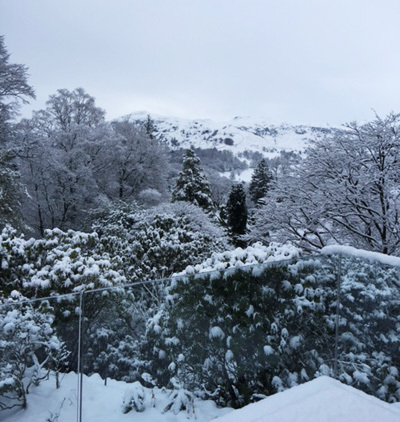 Homes have been flooded – some in our Grasmere village four times in four months, the main A591 road is closed, the private road to my home has been eroded by landslides and is closed to vehicles until we can rebuild it, and tourism is down by 90%!! But Cumbrians can take it. The community is pulling together as strong communities do in times of crisis. And this morning we woke up to the picture above (from my living room). Nature is a wondrous, wonderful force.